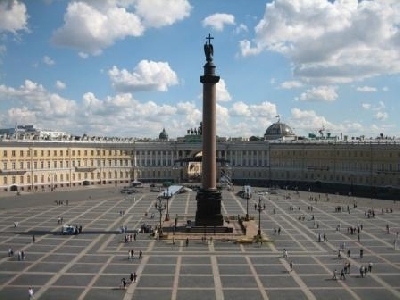 Alexander Column also known as Alexandrian Column became famous after the poem of Russian well-known poet Alexander Pushkin “The monument”. 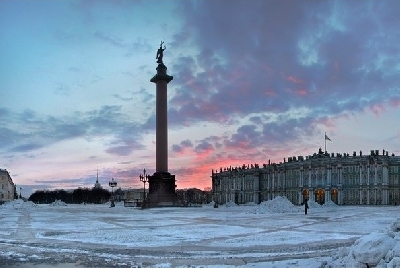 The Alexander column is the prominent monumental construction, one of the famous attractions of the city, the symbol of Saint-Petersburg. 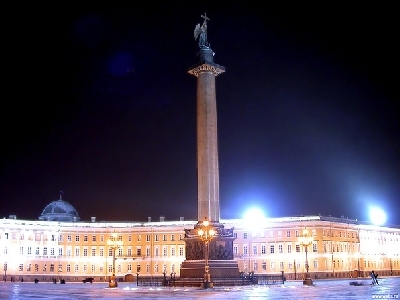 The column is situated in the centre of the Palace Square and completes the composition of the Building of the General Staff, which is devoted to the victory in the Patriotic War of 1812 as well as the column itself. 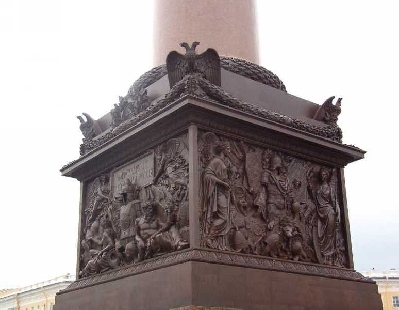 Alexander Column was constructed in 1834 by the decree of the emperor Nicholas I. 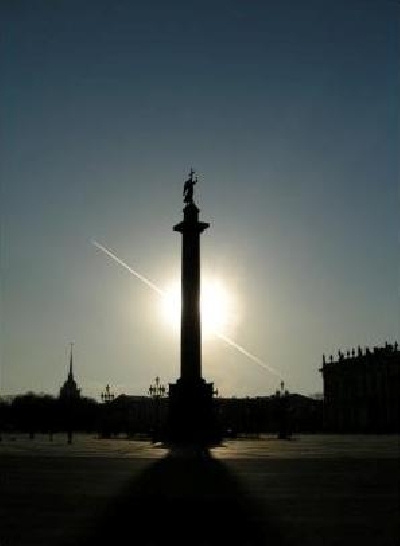 The architect of the column is Auguste de Montferrand, who decided to show the beauty of the giant polished monolith from red granite. The height of the column is 47.5 meters and its weight is 600 tones. It is the highest column in the world which was made of the whole stone. 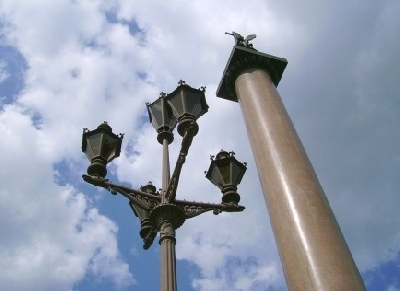 The column was named in honor of the Emperor Alexander I, who reigned during the Patriotic War of 1812. 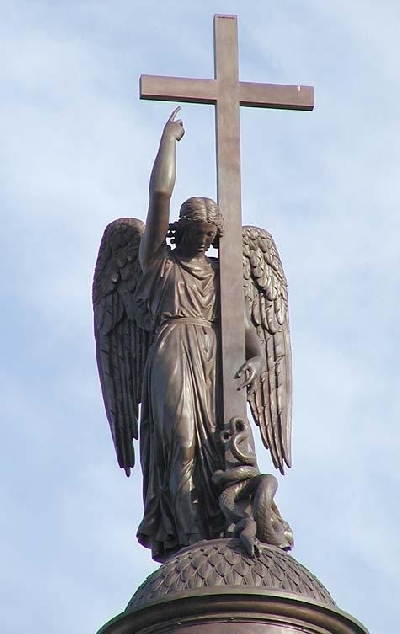 On the top of the column there is a sculpture of the angel, which face has the features of Alexander I. 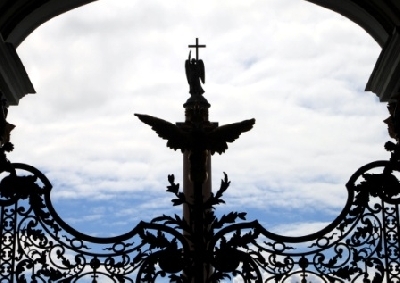 The angel symbolizes the peace, which was brought in Europe after the Russia’s victory under Napoleon. The bas-reliefs on the column’s pedestal represent the glory of Russian arms and symbolize the courage of Russian Army: on the bas-reliefs Victory and Glory are depicted in allegorical form, as well as Peace and Justice, Wisdom and Prosperity. The process of production, delivery and installation of the column was extremely difficult: the huge peace of granite was carved from the rock as well as intermediates for the foundation of the monument. They were transported by sea on the special boat. Afterwards the installation of the foundation and the monument’s pedestal began. 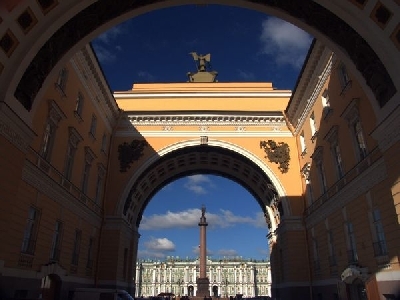 Than it was the hardest thing to install the monolith on the pedestal – for that the experience of installing the columns of Saint Isaac’s cathedral was used. After all preparatory works the day of ceremonial lifting was set. It took the strength of 2500 people and 1.45 hours to lift the 600 tone column. Afterward the works on fastening of the bas-relief plates on the pedestal and decoration were left as well as polishing and finishing. 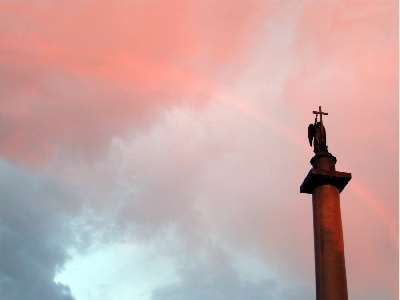 The monument was opened on 11 September 1834. It is possible to enjoy the architectural image of the monument twenty-four-hour.